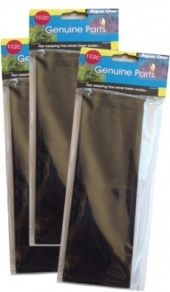 Keep your Betta Duo aquarium in perfect condition with a full range of spares from Aqua One. 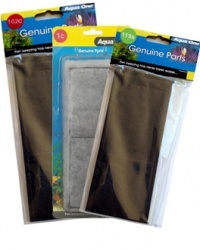 We have all necessary filter media, lighting tubes, heaters, food, decor and much more... No one cares more about your aquarium than Aqua One and Aquarium Parts. Check that the water temperature is correct and that the filter pump is running well and that water is flowing through the filter media. Ensure the intake / strainer isn't blocked. Check that the 113S Sponge Foam Pad isn't clogged and rinse in a little aquarium water if necessary. It's good practice to replace the 102i filter pump impeller once a year. It's worked extremely hard, spinning hundreds of thousands of times and changing this small but essential part will help prolong the life of your Aqua One filter pump.